When you are thinking about buying a car and need to know in advance what it is going to cost you, a car payment calculator can help you understand the necessary numbers. Crunching basic numbers can help you determine the price range of the car you can afford, or help you experiment and see which loan terms might work best for your needs. The best part of using this type of calculator is that you can access them any time of day and have fun as long as you want – for free! A car payment calculator can be very useful especially if you are not sure how much you can comfortably spend on a new or used car. If you already know how much you can spend each month, all you have to do is to enter in that amount into an affordability calculator, such as the one at Edmunds.com. The results show you immediately the price range of car that you should shop for in order to stay within your budget amount. After seeing the numbers from a few calculations, you may decide that you should just keep your present car. If your car is still in good shape, this could be a good decision, possibly enabling you to save more money toward a down payment on your next car. At the same time, you may find out that the payments can be handled more easily than you had previously thought. A calculator can also be used to reveal how soon you could pay off an existing car loan by making larger payments, or just one larger payment a year. Finding out how much of a difference in total cost is going to be when you have different interest rates will let you know which deals are better, as well. 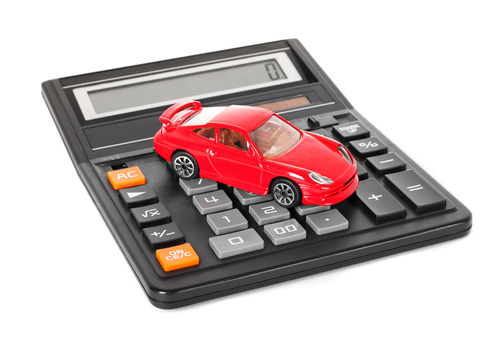 There are several different types of car payment calculators. CarMax.com has calculators that show you affordability, and also ones that will reveal how much you will pay for taxes, title, tags, and other fees when you buy a particular model of car. Some car payment calculators will provide more features that allow you to enter in more data than other ones. This may include down payment amounts and possibly the trade-in value of your vehicle. The car payment calculator at BankRate.com enables you to experiment with several extra payment options, including larger monthly payments, or one-time extra payments. Other calculators may even let you fine tune your information a little further. The one at AutoTrader.com lets you add numbers for any rebates you might be able to get, and it lets you figure in any money that you might still owe on your trade-in. If you are not sure whether you should buy a car or lease it, other calculators can help you make that decision, too. AutoTrader.com has one that will show you a side-by-side comparison after you enter in a few numbers. This removes the guesswork out of the issue and lets you see which one will be the better deal for your needs.